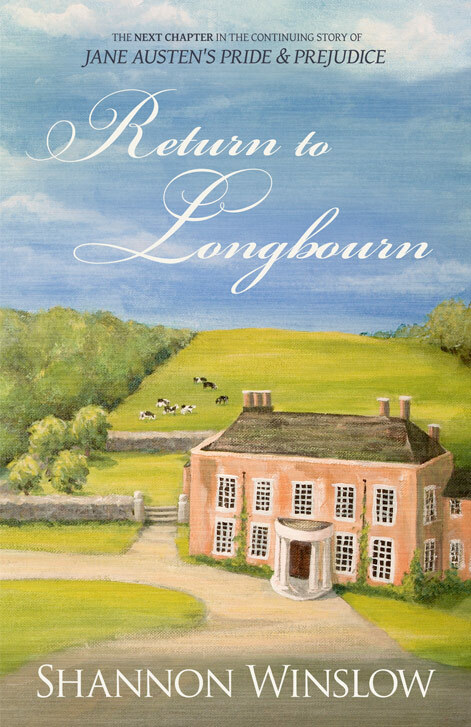 Return to Longbourn | Shannon Winslow's "Jane Austen Says…"
What will happen to the Longbourn family when Mr. Bennet dies? – seeing that his estate is entailed away from the female line. The question was first posed by Jane Austen herself 200 years ago, in the opening chapter of Pride and Prejudice, and it’s still hanging there, unanswered. I settle the matter once and for all in this second installment of my P&P saga. 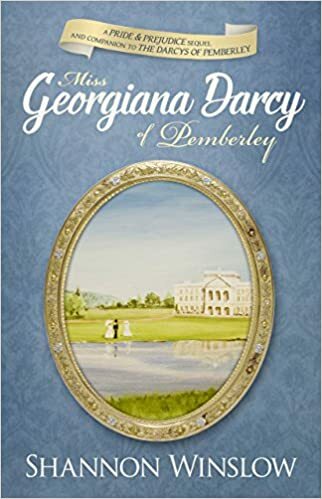 Return to Longbourn picks up the story about five years after the close of The Darcys of Pemberley, and centers on Mary, Kitty, and the new heir to the Longbourn estate. With Mr. Tristan Collins on his way from America to claim his property, Mrs. Bennet hatches her plan. The new heir to Longbourn simply must marry one of her daughters. Nothing else will do. Will it be Mary or Kitty singled out for this dubious honor? When the gentleman in question turns out to be quite a catch after all, the contest between the sisters is on. Which of them will be the next mistress of Longbourn? Or will the dark horse in the race win it all in the end? Darcy, Elizabeth, and the rest of the Pride and Prejudice cast are back as the socially awkward Mary emerges from the shadows to take center stage in this next chapter of the story. A lot of us have a secret soft spot for Mary, and I believed she might have the hidden makings of a heroine. Now, in Return to Longbourn, we learn what really makes her tick. Find out if Mary is destined to be a governess forever, or if she overcomes the misfortune of being ‘plain’ to discover love and her own happy ending. Published in February, 2013, this book is available in Kindle, Nook, paperback, and audio. I’m proud to say it’s receiving excellent reviews and has now appeared on multiple “Best of 2013” lists! Return to Longbourn was named #1 of the top-ten Austen-inspired historical novels at Austenprose, and best Austenesque sequel of the year at Austenesque Reviews! It is a truth universally acknowledged that every mortal being must at some point face the certainty of death and the day of reckoning. Despite his every effort to avoid it, this reality at last bore in upon Mr. Bennet, a gentleman who had long resided near Meryton in Hertfordshire. He had managed to live in tolerable comfort for nearly seven-and-sixty years, his contentment at least partially owing to the fact that he was rarely incommoded by bouts of serious introspection. Yet, in his final hours, he did at last pause to reflect upon the questionable quality of his earthly pilgrimage. The traits of idleness and self-indulgence suggested themselves straightaway. Whereas these are not generally touted as virtues, Mr. Bennet reasoned that it would be outright hypocrisy to condemn in himself that which he freely forgave in so many others of his acquaintance. With his conscience clear on that head, his two remaining sources of potential regret as he prepared to meet his maker were these. First, he had married unwisely and in haste. Yet he hardly thought it likely he would be chastised for that above, having already paid more than thirty years penance for the folly below. Likewise, he knew the consequences of his second regret – not having produced a male heir – would soon be meted out on the terrestrial rather than the celestial plane. Finally, the dying man considered that perhaps he should have taken his domestic responsibilities more seriously – disciplined his five daughters with some diligence when they were young and made better provision for his widow. But this belated remorse proved as transitory as it was ineffectual. Thus, being serenely satisfied with his deportment in this life and, therefore, confident of a favorable reception in the next, Mr. Bennet breathed his last. I know what you’re thinking: “Does she have to kill a character off at the beginning of every book? Last time it was Mr. Collins; this time, Mr. Bennet. Who’s next?” Well, I admit I seem to be falling into that pattern, but I want you to know that I’m not overly bloodthirsty by nature. In fact, I abide very strictly by a no-more-than-two-bodies-per-book policy. So, one down; one more to go? 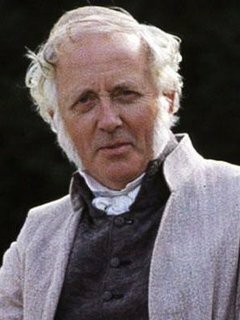 Read other excerpts of Return to Longbourn on my 6/8/12 post – “The Look”, the 6/21/12 post – “A Three-Hour Tour”, and in a preview at Austenprose. I know, Patty, but it seemed the next logical step. And he lived a good, long life. Thanks for the comment, Jan, and I’m so glad you’re enjoying DOP! Sharing my stories is the best part of writing. Pingback: “The Look” | Shannon Winslow's "Jane Austen Says…"
Pingback: House and Garden | Shannon Winslow's "Jane Austen Says…"
I just finished The Darceys of Pemberley I loved it.. This could not have been a better sequel to Pride and Prejudice! 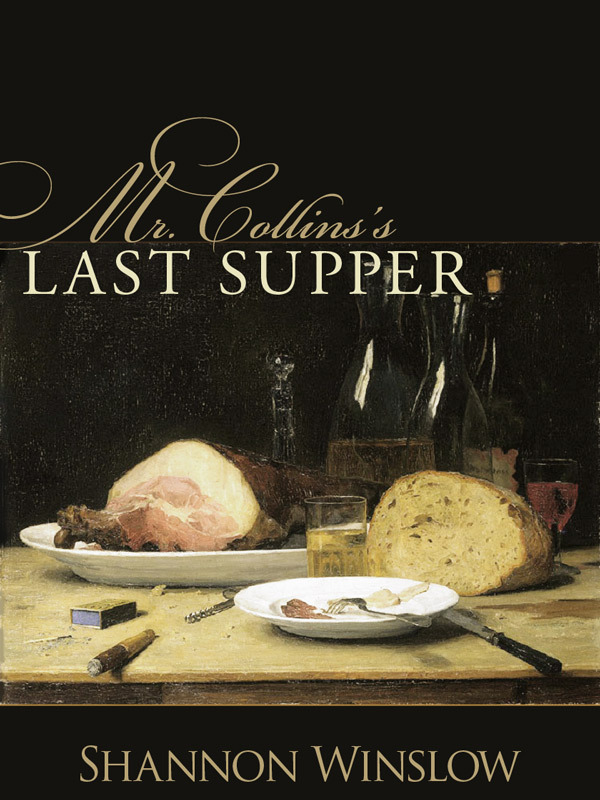 I am ready to ready Mr.Collins last supper. Thanks so much for your comment, Michelle! I love hearing back from satisfied readers, and I’m so glad you enjoyed DOP! LOL Shannon! There is nothing like a death for a roaring start of a novel – and a handsome heir at Longbourn with Mary and Kitty in the mix. Hmm??? Great premise. That’s right, Laurel. 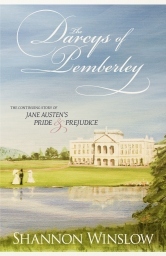 Opening with a death worked for “The Darcys of Pemberley,” so why not its sequel? And I’m glad you’re intrigued by the premise. 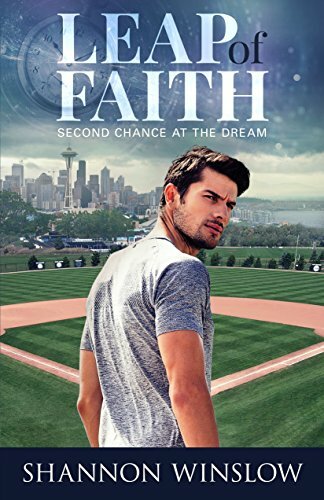 My beta readers are calling the book “romantic” and “fun.” I had fun writing it; that’s for sure! Pingback: The Next Big Thing Blog Hop | Shannon Winslow's "Jane Austen Says…"
Pingback: Cover Art 3 | Shannon Winslow's "Jane Austen Says…"
Yay! Won’t be long now! Pingback: Cover 3 Reveal | Shannon Winslow's "Jane Austen Says…"
Pingback: “Return to Longbourn” Launches | Shannon Winslow's "Jane Austen Says…"
They don’t know it, but the Darcy’s and their family are my family too. I simply can’t get enough of all of Austen’s well defined and perfectly drawn characters. I look forward to reading your newest book and wish you great good luck with it. I’m so glad you’re enjoying my books, Leesalu! Clinton was banished from Netherfield by Mr. Farnsworth after the butler Haines informed his master of what he had seen (the attempted assault). Reread chapter 50 if you want to refresh your memory. I know you can’t get enough of Mr. Darcy. 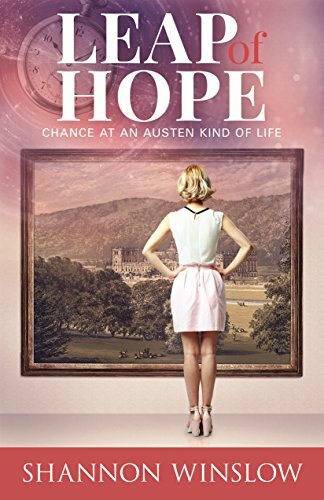 But I hope you’ll give the other Austen heroes a chance too. 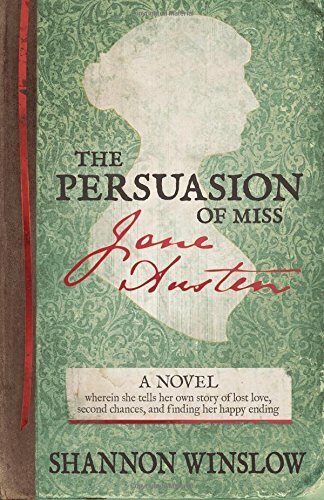 My next book, coming out later this summer, is a “Persuasion” tie-in. And Cpt. Wentworth is pretty swoon-worthy too! By the way, I think you are pretty awesome for taking the time to respond to your fans.